Overzealous neighborhood watch volunteer. Pursued, shot, and killed Trayvon Martin on 26 February 2012 after he was instructed not to pursue Martin by a police dispatcher. After weeks of media circus, Zimmerman was charged with 2nd Degree Murder on 11 April 2012 and released on bail on the 23rd. But as Zimmerman and his wife deliberately deceived the court by claiming to be broke while failing to disclose over $100,000 in donations via their website, his bond was revoked on 1 June 2012, and wife Shellie charged with perjury. On 6 July 2012, he was again released after a much higher bond of $1M was posted. 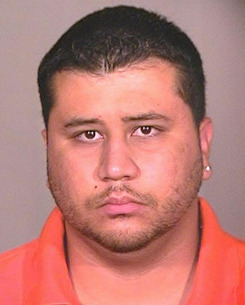 On 13 July 2013, Zimmerman was found not guilty of second-degree murder, and acquitted of manslaughter.